SMART MISSILE (AUS) (Bay 2008-Stud 2012). 3 wins-2 at 2-at 1000m, 1200m, A$541,150, ATC Todman S., Gr.2, Run to the Rose H., Gr.3, AJC Breeders' P., L, 2d ATC Golden Rose S., Gr.1. Half-brother to SW Kiss From a Rose (ATC Triscay S., L). Out of a half-sister to SW Northern Meteor. Sire of SW Sassy 'n' Smart (CJC Welcome S., L), SP Jericho, Fromparis Withlove, Smart Amelia, Smart Manoeuvre and of Cadogan, Mediterranean, Blazing Steel, Hair Trigger, Missile Coda, Savvy Belle and of the placegetters Canny Rocket, Cha Siu Bao, etc. His oldest progeny are 2YOs. The Empress (f. by Holy Roman Emperor). Winner at 2, 2d MVRC Essendon Mazda Challenge H., 3d SAJC Blackwell Funerals 2YO H.
Halpin (g. by Fastnet Rock). Placed in 2015-16 in Aust. Lord Revoque. 5 wins to 1250m, A$162,850, STC Nivea Visage Girls Day Out H., Bondi Junction H., Guildford Leagues Club H., Champs Cafe H., Aquaveta H., 2d STC Sentry Automotive Solutions H., AJC Turner Freeman Gough Whitlam H., 3d STC McDonald Ross Developments H., Schweppes Coolridge Water H., Japan Racing Association Trophy H.
CHATTANOOGA (Scenic). 14 wins from 1100m to 2050m, A$752,425, VATC Kevin Heffernan S., L, VRC Coolalinga Welter H., Irish Day Welter H., MRC Ian Miller H., MVRC Saintly H., Waterford Crystal Trophy H., VATC Silvan Spraying H., Moe Cup, VRC Winter Championship Heat-twice, MVRC Waterford Crystal H., Blue Ribbon Day Welter H., 2d MRC Futurity S., Gr.1, VATC Sandown Guineas, Gr.2, VRC Standish H., Gr.3, VATC Mercedes Benz S., L, 3d VRC Straight Six H., L, MVRC Ian McEwen Trophy, L.
Halekulani - Express Horse (H.K.) (Encosta de Lago). 2 wins at 1100m, A$149,800, ATC North Ryde RSL Club H., STC Spring Racing at the Gardens P., 2d STC Heritage S., L, 3d AJC Stan Fox S., Gr.2, ATC Eskimo Prince S., L, 4th ATC Phar Lap S., Gr.2. Cooktown (Brief Truce). 3 wins to 1300m, VRC Elounda Bay H., VATC Monomeith Welter H., 2d VATC St Razzle H., 3d VRC Poseidon S., L.
REAL STOLLE (Elusive Quality). 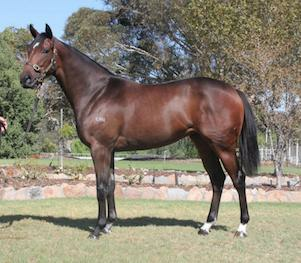 Winner at 2, A$134,900, VRC Maribyrnong P., Gr.3, 3d MRC Snowhite Maintenance P.
TINDAL (Testa Rossa). 12 wins-2 at 2-from 1000m to 1600m, A$416,760, to 2015-16, VRC Poseidon S., L, Peter Armytage 2YO H., MVRC Tatts Group 2YO H., Geoff Torney Cup, 2d MVRC Prime Mover Magazine 2YO H., Scone RC Yarraman Park H., MVRC Citywide Service Solutions H., 3d VRC Mrs Mac's Beef Pie H., KA Morrison H.
ASCORBIC (Mister C). 5 wins-2 at 2-from 1100m to 1650m, A$272,410, VRC Edward Manifold S., Gr.2, VATC Quezette S., L, VRC Eaton Florist H., 2d MVRC Champagne S., Gr.2, 4th VRC Matron S., L, VATC Summoned S., L. Producer. Home Sweet (Ladoni). 7 wins from 1600m to 2500m, A$161,060, MRC Salamander H., MVRC Eskander Betstar H., 2d VRC Bounty Hawk H., Lancelotto H., 3d Bendigo Cup, L, VRC Piping Lane H., MRC The Journal H.
FANTISHA (Collate). 4 wins-1 at 2-from 1200m to 1650m, A$180,250, to 2015-16, BRC Princess S., L, SITA Australia H., 2d BRC Coke Zero H., Brothers Seven Gold H., 3d BRC Makers Mark H., Lachlan Akers The Good Guys Carseldine 2YO H., Ipswich TC XXXX Gold Grange 2YO P.
HOW PROUD (Cool Ted). 3 wins at 2, VATC Debutant S., Gr.3, Merson Cooper S., Gr.3, VRC Maribyrnong Trial S., L, 4th VRC Maribyrnong P., Gr.2. LEMON SORBET (Boldest Melody). 5 wins at 2, SAJC Queen Adelaide S., L, TTC Gold Sovereign S., L, VATC Wenona Girl H., Chicquita S., 2d SAJC Cinderella S., L, 3d SAJC Lightning S., Gr.3. Producer. Acid Drop - Royal Demon (H.K.) (Royal Artist). 5 wins-1 at 2-from 1000m to 2650m, MVRC Roxburgh H., 2d Hong Kong Derby, L, HKJC Stewards' Cup, L.
OPENING TWIST (Dr Grace). 12 wins from 1300m to 2300m, A$252,230, Pinjarra Cup, L, Kalgoorlie Gold Cup, L, Kalgoorlie Boulder RC Boulder Cup, L, WATC Canberra H.
SPANGLET (Rare Pearl). 2 wins at 2, VATC Mona Nursery S., L, MVRC Kinross H., 2d VATC Matinee P., Acorn H., 3d VRC Byron Moore S., L. Producer.